CONGRATS! You’re one step away from hiring Southwest Florida Top HVAC Repair Company! Give us a call…we answer 24 hours a day! Our professional staff has over 25 years combined experience, and confidently we offer a 100% satisfaction guarantee on all repairs and installations. 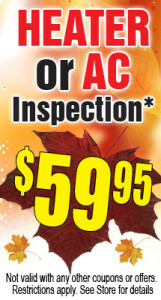 All repairs include a 1 year warranty, and new installations include the original manufacture warranty. Want to email us instead? Fill out the form below and we’ll get back with you a.s.a.p. !